For most of my life, I stopped craving ice cream after summer was over. 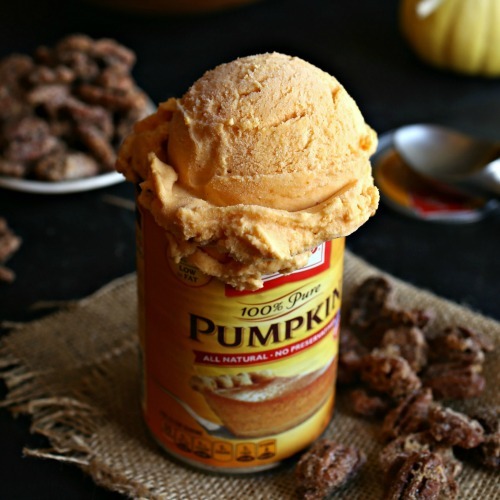 But all that changed a number of years ago when I first tasted pumpkin ice cream. There's a small local artisan ice cream shop near my apartment and they put a sign out announcing the flavor. Curiosity eventually got the better of me and I went in and got a scoop. An obsession was born. Ever since then, I stalked them all through September and October, waiting for the first batch. 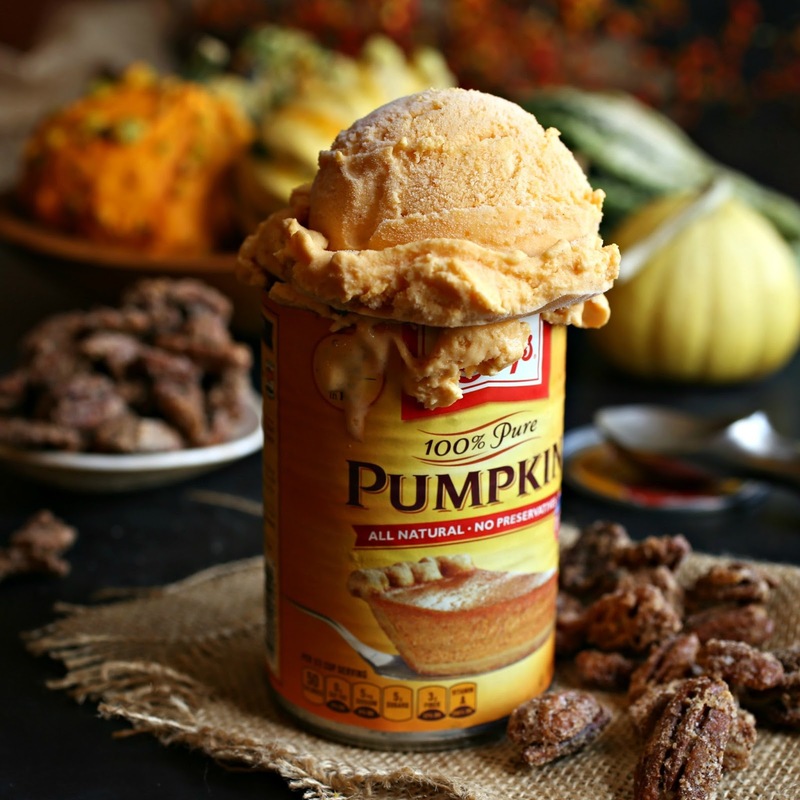 Sometimes I've found commercial ice cream brands with a seasonal pumpkin flavor but it wasn't as deep and rich as the taste of the local stuff. 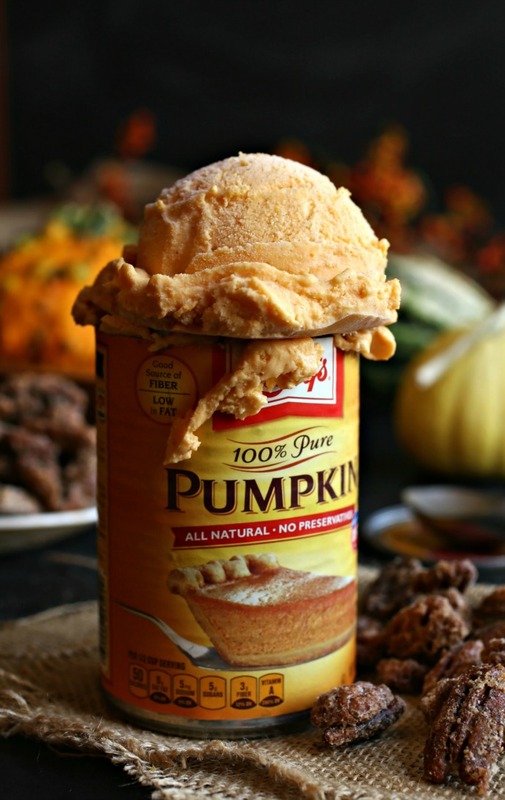 I swore that I would eventually break down and get an ice cream maker, if for no other reason than to make the pumpkin ice cream. Well, this year I have an ice cream maker and it's on! 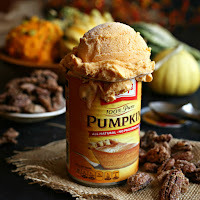 And since I can now make it however I want it, I want it as pumpkin cheesecake ice cream. I'm not usually a fan of nuts in my ice cream but I do love the way these praline pecans compliment the flavor as a snack on the side. And, of course, they make a great cocktail snack as well. Enjoy! Using a hand or stand mixer, beat together the cream cheese, heavy cream, whole milk, sugar, pumpkin puree, vanilla, cinnamon and salt. Pour the mixture into your ice cream maker and churn according to manufacturer instructions. To make the pralines, pre-heat the oven to 350 degrees. Toss the pecans in the melted butter until thoroughly coated. Stir in the sugar, cinnamon and salt to taste. 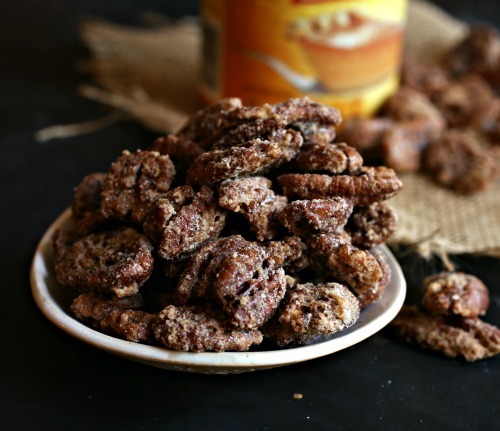 Spread the pecans out, in an even layer, on a baking sheet lined with parchment paper. Bake in the oven for 10 minutes, stir and continue baking for another 5 - 10 minutes. Allow to cool thoroughly so that the candy coating sets.